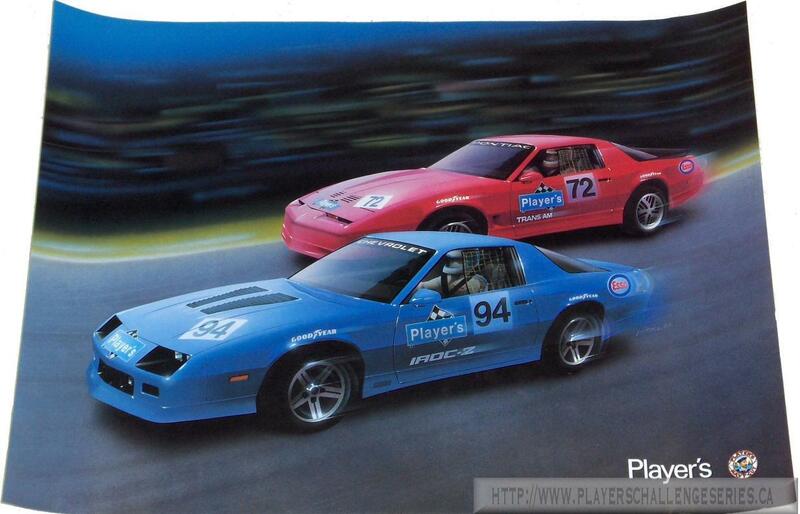 Players LTD. / GM Motorsports "posters". 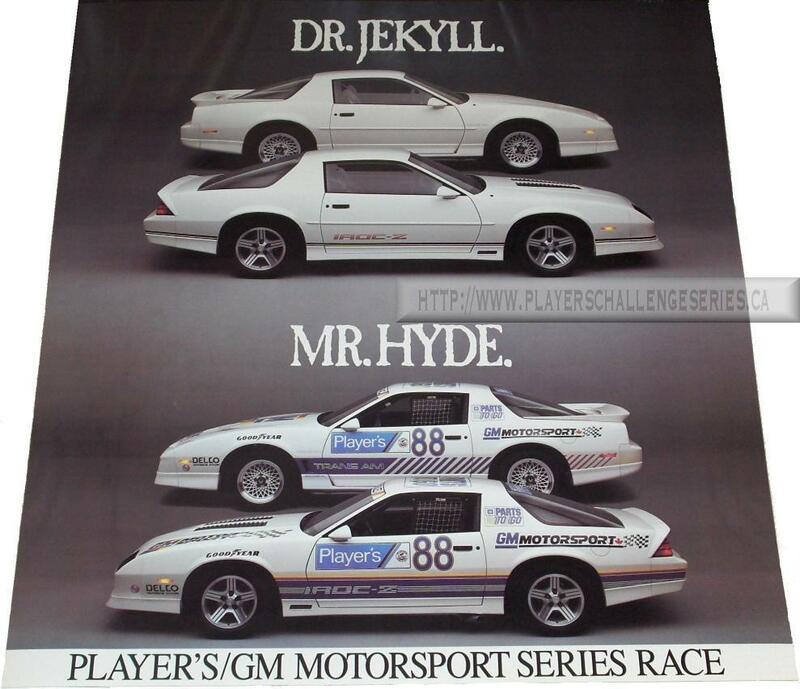 The following are the various posters that were produced between 1986 and 1992 featuring the cars from the Player's LTD./GM Motorsport series. The posters range in size from 8.5"x17" to 27"x36" and were distributed at the races, through GM and Players and through various publications. This is from Vol 2, No. 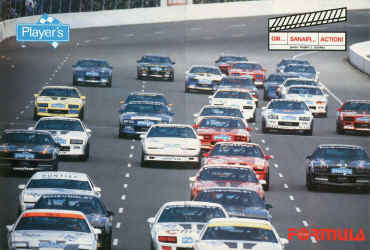 5 (Nov/Dec 1986) issue of Formula 2000 magazine. 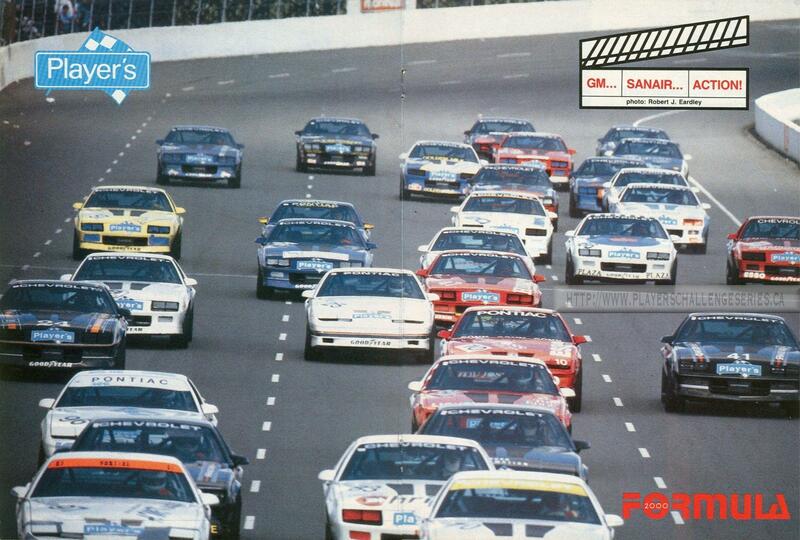 The picture is from the Sep 6/7 race at Sanair, an oval track. 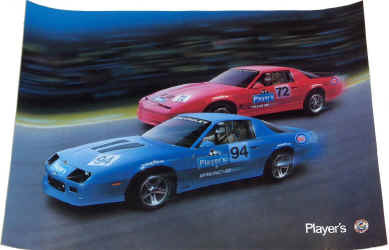 The poster measures 11" x 15.5"
This is a watercolor painting produced by Player's. It was released in late 86 or early 87. The poster measures 15"x20"
This is perhaps the most famous poster/picture from the series. 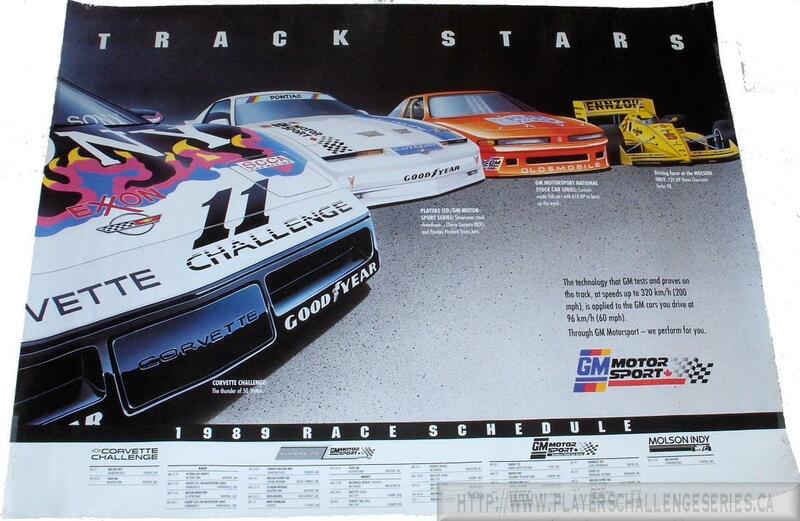 1988 marked the most significant marketing campaign from GM as demonstrated by this poster. 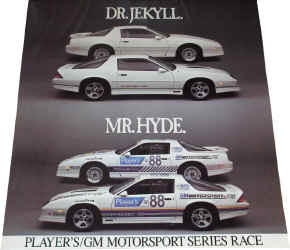 The Dr.Jekyll/Mr.Hyde theme carried on throughout the series. This poster measures 20"x24"